You are here: Home / Theology / Exploring Conditional Immortality / Immortality of the soul in the bible ? Immortality of the soul in the bible ? The writings of the Early Church Fathers do not speak in terms of innate immortality or eternal torment but held closely to the biblical language indicating their acceptance of what came to be known as “Conditional Immortality”. This is not surprising as that is what the Bible teaches. I was one of the founders of the Inter-Varsity Fellowship in New Zealand in1935. We asked the world-renowned Greek scholar, E.M.Blaiklock, to be the key-speaker at our1936 annual Conference. He chose to speak on the Immortality of the Soul which he firmly proclaimed, but he surprised us by saying that he based his belief on Plato’s teachings because the Bible doesn’t teach it; it just assumes it. He never opened his Bible, nor quoted any Bible verse. He gave lengthy quotes from Plato, the Egyptian Book of the Dead, and Babylonian writings, and said that the immortality of the soul had been accepted by all people from the beginning of time. He also said that if any who lived before the time of Christ are deemed worthy of eternal life, Plato will be one of them. Immortality of the soul in the bible ? The Bible is not indebted to heathen philosophers. The very first Early Church Fathers never questioned the Biblical teaching of the complete mortality of man, the sleep of the dead, and the resurrection to eternal life or to judgment. They never speak of the immortality of the soul, nor of eternal, unending punishing. They present death, Greek thanatos, as the cessation of life, and of immortality as coming only to the righteous at the resurrection – that is, immortality for man is conditional. So Clement of Rome (who died about100 AD), Ignatius (died about 107), the Didache (about 120), Barnabus (died about 140), The Shepherd of Hermas (about 154), Polycarp (died about 155), Justin Martyr (about165), Tatian (about 172), Iranaeus(about 202). The first teaching of the immortality of the soul within the Church was by the neo-Platonist Clement (about 220) and his pupil, Origen (about 254), both of Alexandria, which was the great centre of Greek philosophy. Significantly, both were also Universalists. But always there were those who upheld the teaching of the Apostles and the Early Church Fathers. For example, Novation (about 280), Arnobius (about 330), and Lactantius (about 330). Athanasius was predominantly a Conditionalist and Annihilationist but with some confusing statements. 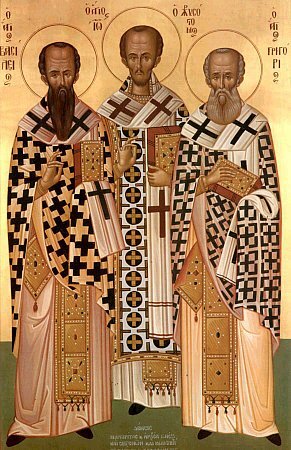 After Origen, the following held the Platonic theory of soul-immortality : Tertullian (about 240), Cyprian of Carthage (about 258), Ambrose of Milan (307), Chrysostom (407), and Augustine (died about 430). Also Gregory Thaumaturgus (270), Pamphilus (309), Eusebius (340), Basil of Caesarea (379), Diodorus (390), Didymus (308), Gregory of Nyssa(395), Theodore of Mopsuestia (428), who were all Universalists. Also, Augustine agreed that Universalism was a possibility, with souls purged inPurgatory. Meantime, Gnosticism had spawned Manichaeism, which Augustine espoused, and when he studied under Ambrose of Milan, his belief in the immortality of the soul was reinforced. When he was a Manichaean, he had written a book giving sixteen reasons for the immortality of the soul. Augustine’s theology became standard for the Church, but always there were those who held to the first century teaching, which rejected the immortality of the soul. For example, the Malabar Coast Christians of South-West india, who claim that their forbears were converted by the apostle Thomas; Ethiopian Christians, discovered by Jesuit missionaries towards the end of the sixteenth century, who said their forbears had been converted by Frumentious (380) who had been consecrated by Athanasius; Waldenses in North Italy and Southern France, who claim unbroken testimony back to apostolic days; Sophronius (638). The Waldenses’ writings were read widely; for example, by John Wyclif , and John Huss. John Calvin records ‘that even a Pope, John XXII (died 1334), of Avignon, during the schism n the Catholic Church, “maintained that the soul is mortal and perishes with the body till the day of resurrection”. (Institutes, Book IV, chapter 7, section 28) Martin Luther was also aware of Pope XXII’s views. John Wyclif, who met Waldenses while on a trip to the Netherlands, also noted the Pope’s understanding. While Professor of Theology at Oxford University, he translated the Bible into English. He taught soul-sleep, and that the Rich Man and Lazarus was a parable and couldn’t be used as a basis of theology. He came across the storywhen he translated IV Maccabees13:17, because he used the Vulgate as the basis of his translation. Jesus was talking to Pharisees, Luke 16:14, who taught that good Pharisees at death are alive with Abraham. They preferred the Maccabees’ teaching to the Law and the Prophets, which denounced the Pharisees’ false piety. Wycliffe declared that the fate of the wicked everlasting punishment, not continuing punishing. Incidentally, it is interesting that many translators of the Bible became Conditionalists for example Wycliffe, Huss, Tyndale, Luther, R.F. Weymouth; also Robert Young of Young’s Concordance. An older contemporary of Luther was Pietre Pompanazzi (1464-1525), renowned Renaissance scholar and professor. He denied the immortality of the soul. Yes, there was an ever-increasing number of scholars who were rejecting Plato’s theory of the immortality of the soul. This brings us to Martin Luther, who emphatically rejected belief in the immortality of the soul, and held that death is a sound, sweet sleep, rejecting quoting Matt. 9:24, and John11:21. Had it not been for John Calvin, it is possible that Conditional Immortality would have become the predominant view in the Protestant churches. Whereas Luther rejected the Roman Catholic teaching of the immortality of the soul, John Calvin re-introduced it. Born twenty years after Luther, Calvin joined the Reformation in 1532, and his first publication was entitled “Psychopannychia”, that is Soul Sleep -a militant attack on Luther’s rejection of the immortality of the soul, enunciated in Luther’s commentary on Ecclesiastes, published in 1532. Archdeacon Francis Blackburne, eighteenth century theologian, and historian of the Reformation, depicts Calvin’s treatise as “hot, furious, and abusive.” Calvin berates those who believe in soul-sleep as “babblers, madmen, dreamers, drunkards”, while admitting that some thousands held the soul-sleep view, but he says that they “pay no regard to the Scriptures”. He also says that just as people don’t actually die but go straight to heaven or hell, so Christ went straight to heaven! Calvin: ‘As the (Immortal) soul of Christ was set free from prison (the body) so our souls are set free before they perish”. He then proceeds to ridicule those that believe that the soul sleeps and that the death of Christ was a sleep. He didn’t understand Genesis 2:7. Many went to Geneva to study under Calvin, and thus accepted the non-Biblical belief of the immortality of the soul. So Calvin preferred Plato’s immortality of the soul and rejected Eccles. 3:18-20, which says that “men and animals are alike . . as one dies, so dies the other . . all have the same breath (spirit) . . all come from the dust and to dust all return”. Incidentally, Plato not only taught the heathen belief of soul-immortality, but also taught that there is a place of unending pain, which the Catholic Church and Calvin taught. Calvin also declared that the Rich man “and Lazarus is not a parable, but is Jesus’ way of describing the destinies of the righteous and the unrighteous. But many of those who left the Catholic Church followed Luther, not Calvin. Some of the many groups of Anabaptists were Conditionalists, and in England the Church of England became so eventually. The Thirty-nine Articles, which are the official basis of Anglican beliefs, were originally Forty-two Articles, formulated in the reign of Edward VI. In the Forty-two Articles, Article 40 condemned the sleep of souls and death of souls. The Articles were revised in the reign of Elizabeth I, with Articles 39, 40, and 42 eliminated. Since that time the doctrine of the eternal torment of the wicked hasn’t been an established dogma of the Anglican Church, and many Anglican theologians, bishops,and archbishops have supported the Conditional Immortality interpretation, including most or all of the Evangelical archbishops of this century. John R.W Stott, well-known author and retired Vicar, is right in line with his Church’s official Confession of Faith. However,some aren’t; for example, J.I. Packer. But with him, on the staff of Regent College, Vancouver, for several years was Dr. Michael Green, Anglican Evangelist, and lecturer in Evangelism,who was a Conditionalist. The Bible makes it clear that mortal man doesn’t have immortality. “God alone is immortal“, 1 Tim.6:16; 1 Tim.1:17. Those who seek immortality will get it, Rom.2:8. Jesus brought life and immortality to light through the Gospel, 2 Tim.1:10. “The first man, Adam, became a living being, of the dust of the earth …. we will not all sleep, but will be changed in a flash, at the last trump …. and the mortal must put on immortality”, I Cor. 15:45-54. “The Lord will , descend from heaven with the voice of the archangel, and with the trumpet call of God, and the dead in Christ will rise first; after that,we who are still alive will be caught up together with them to meet the Lord in the air”, I Thess. 4:16f. Note that saints of all time, all go to heaven together. He did this to counter statements you made about the beliefs of the ECF. Is there somewhere when you have gone over some of these quotes? Or are you able to give your thoughts on them? Thanks for your comment Daniel. I’ll see if someone has some answers to your question. David Green, please write to me using my email address. I have rejected the ever-lasting torment in hell idea because it is unbiblical. I hold to age-lasting. I live in Philadelphia (USA). Re: ECF on hell, note that “eternal punishment” and “eternal fire” statements (in both the ECF and in the Bible) cannot be used to support eternal *conscious* torment. The Bible describes eternal punishment which is both eternal and complete, in that the punishment for sin is eternal death (“shall not perish”, John 3:16). The Bible is fairly clear that eternal fire (Jude 7) consumes “to ashes” (2 Peter 2:6). Even the eternally ascending smoke of torment (Revelation 14:11) comes to an end (Isaiah 34:9-11).